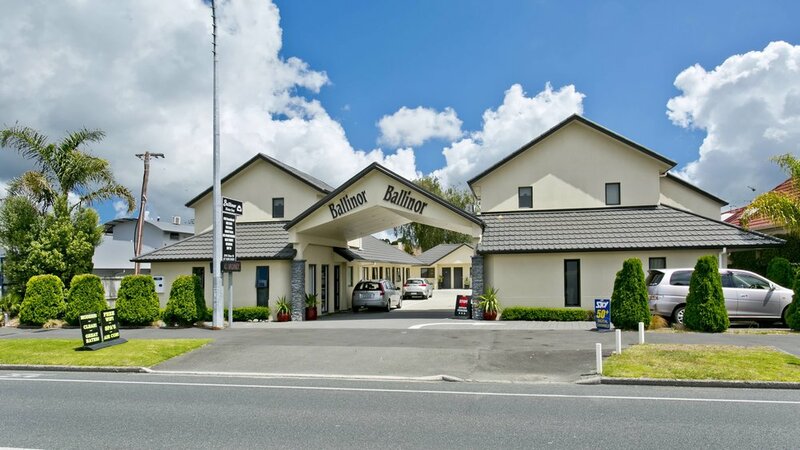 Ballinor Motor Inn Hamilton is the newest motel in Ulster street and is being constantly updated and renovated to offer our guests a premium service. 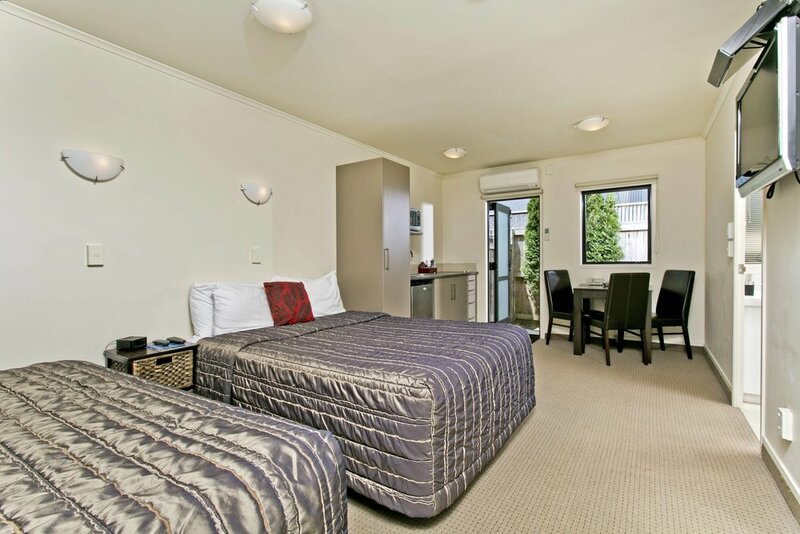 Come and stay at one of the top motels in Hamilton NZ. We have both studio and one bedroom units available with the majority of our rooms now offering free WiFi and Sky TV. Perfect as accommodation for sports fans, you will find we are very close to Waikato and the FMG Stadium, the spiritual home of the Waikato Chiefs. If sport is not your thing or not available then you will find various attractions nearby, such as the city centre, restaurants, cafes and supermarkets to help fulfill your retail needs, or visit the Zoo for a great day out. For the business person looking for a location near to the central business district we are ideally placed to make sure that getting to your meeting is not a problem. 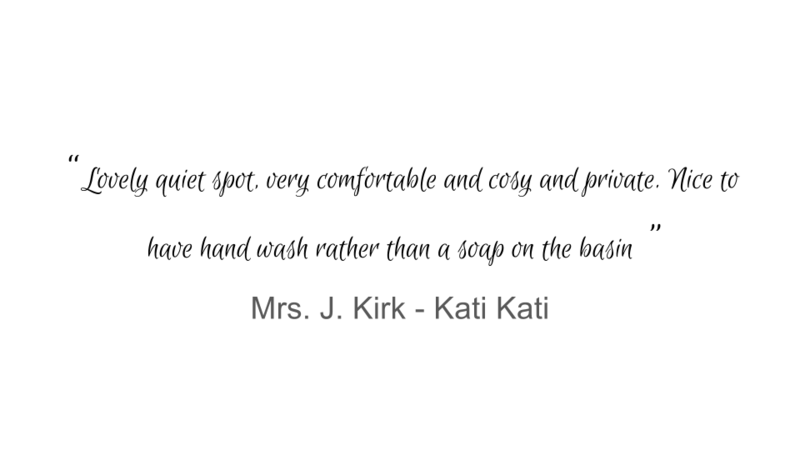 See what guests have had to say about our motor inn Hamilton on trip advisor. We are a quality and pride itself on providing clean, comfortable quality motel accommodation with friendly and professional service. We are the perfect Hamilton motel for your needs. All units are modern, warm, well appointed and serviced daily. Please browse our available rooms and contact us with any questions you may have. We are always happy to help when we can. We look forward to seeing you when you arrive. Ballinor Motor Inn is on Ulster Street in Hamilton, we are within easy walking distance to the city centre, Restaurants, Cafes and Supermarkets. 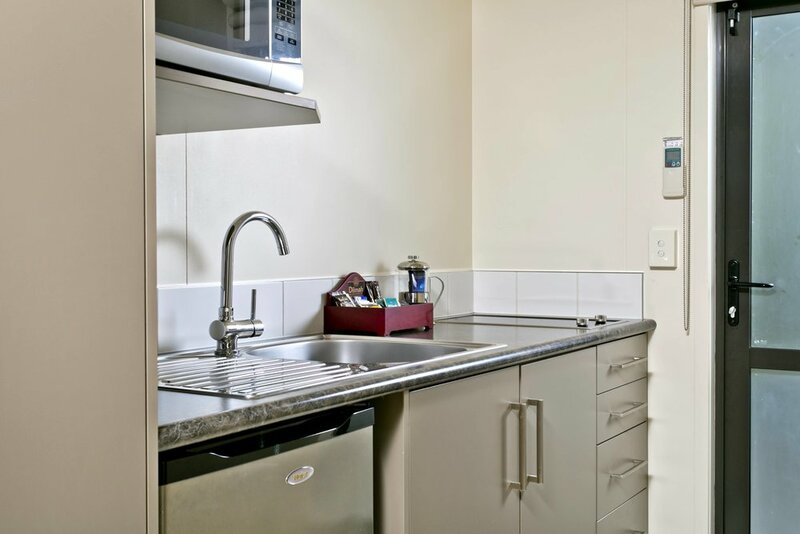 All our motel units are modern, warm, well appointed and serviced daily. Waikato Museum Te Whare Taonga o Waikato is a regional museum located in Hamilton, New Zealand. The Museum manages ArtsPost, a shop and gallery space for New Zealand art and design. Both are managed by Hamilton City Council. Hamilton Gardens is a public garden park in the south of Hamilton owned and managed by Hamilton City Council in New Zealand. It is the Waikato Region's most popular visitor attraction, attracting more than 1 million people and hosting more than 2,000 events a year. Zealong is a New Zealand tea company based in Hamilton, New Zealand, where local climate, terroir, and lack of heavy frost aid in growing the camellia sinensis tea plant and encouraged initial propagation trials in 1996. It is the first commercial tea plantation in New Zealand. FMG Stadium Waikato is a major sporting and cultural events venue in Hamilton, New Zealand, with a total capacity of 25,800. The stadium, owned by the Hamilton City Council, regularly hosts two rugby union teams. Watching the Chiefs play is easy as they are only a short walk from our motel. Hamilton’s newest accommodation in Ulster street opened late 2008. We have both studio and one bedroom units available. We are a top rated Hamilton motel. offering a variety of affordable accommodation options. We are conveniently located within the central business district and only 500m away from the Waikato Stadium. 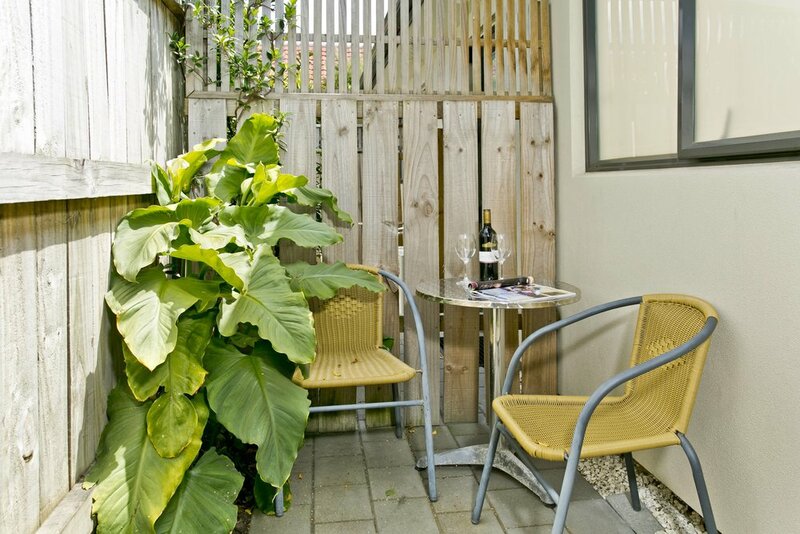 Ballinor Motor Inn is located on Ulster Street which is a perfect location for your stay at our Hamilton motor inn. We are within easy walking distance to the city center, Restaurants, Cafes and Supermarkets. 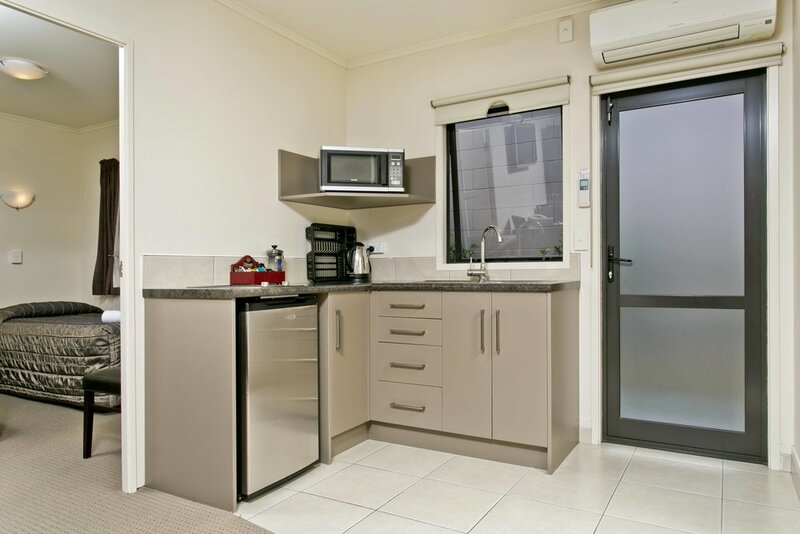 All units are modern, warm, well appointed and serviced daily. Ballinor Motor Inn Prides itself on providing clean, comfortable quality accommodation with friendly and professional service.